Corporal Observer, Coast Artillery Corps, c. 1910. 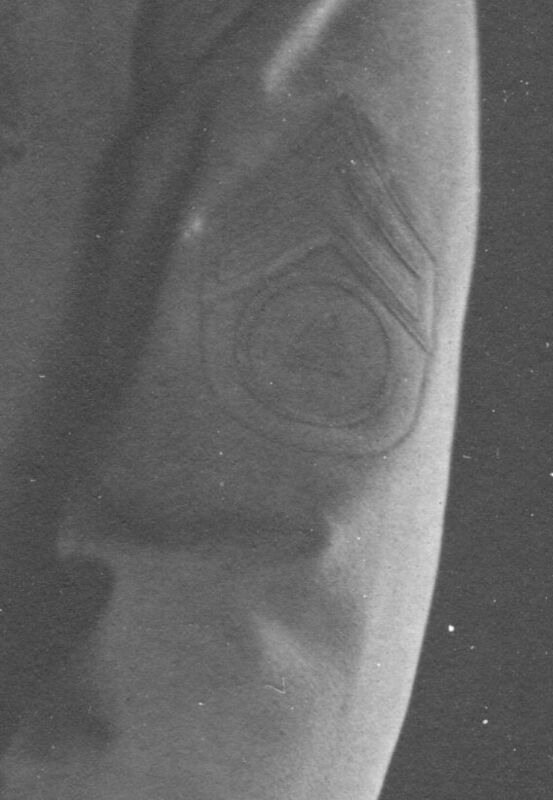 This soldier has only the crossed cannons to indicate the artillery branch, but the rank chevrons are for a corporal, over the rating insignia for an observer second class, which was unique to the Coast Artillery Corps and introduced in 1908. The design is a red triangle inside a yellow circle. The card frame is marked Litchfield, Illinois.